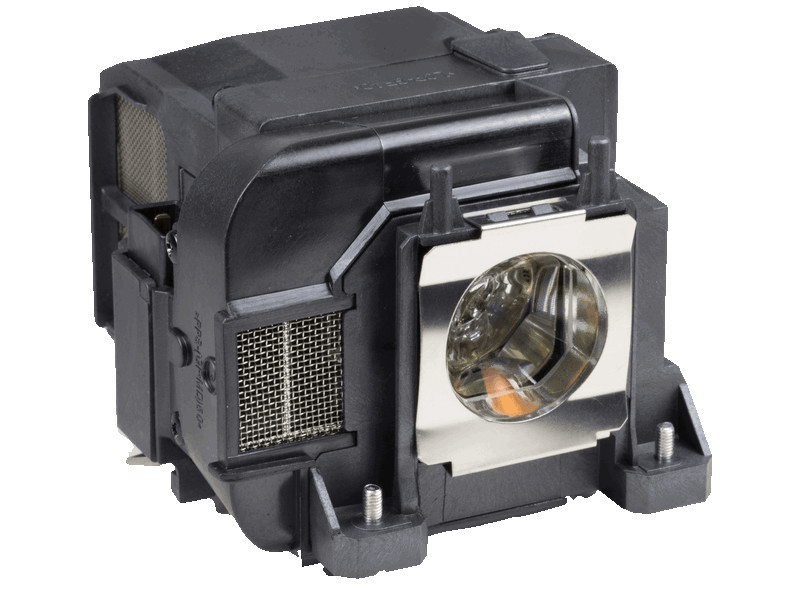 The Epson V13H010L75 projector lamp replacement comes with a 245 watt Osram bulb inside with a rated brightness (lumen rating) of 5,000 lumens. The V13H010L75 projector lamp has a rated life of 2,500 hours (4,000 hours in Eco Mode) and is guaranteed to perform the same as the original manufacturers lamp replacement. V13H010L75 Epson Projector Lamp Replacement. Projector Lamp Assembly with High Quality Genuine Original Osram P-VIP Bulb Inside. This Epson lamp is so much better than the last one we purchased on Amazon. Connectors are tight and it has the genuine Osram bulb inside. Package was double packed on delivery (which was very quick). We will continue to purchase our laps here.